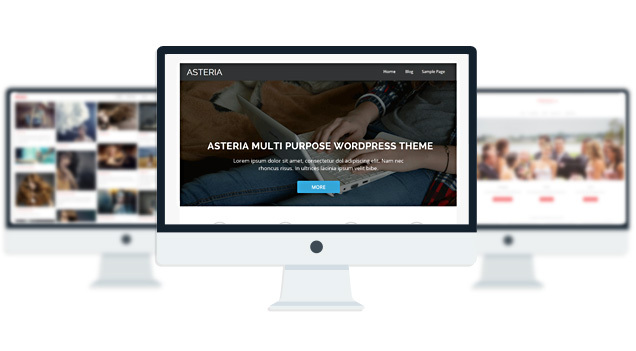 Asteria PRO is a clean responsive theme with 3 beautiful sliders, Narrow and Wide Layout Option, 10 Social Icons and 4 page templates, custom backgrounds per page, custom header per page and Unlimited Fonts. 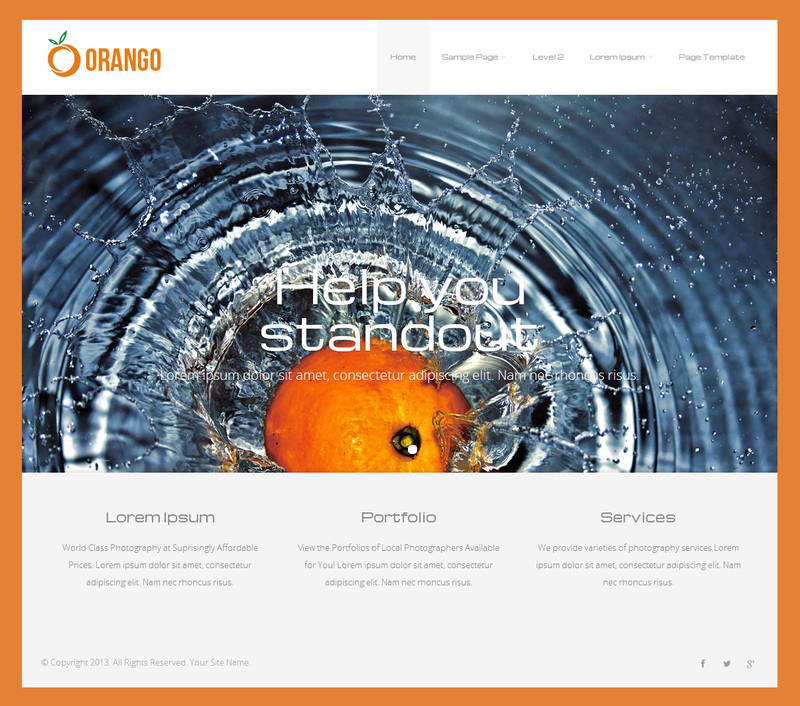 The theme also allows you to design your site logo with 600+ fonts or upload your own image logo. 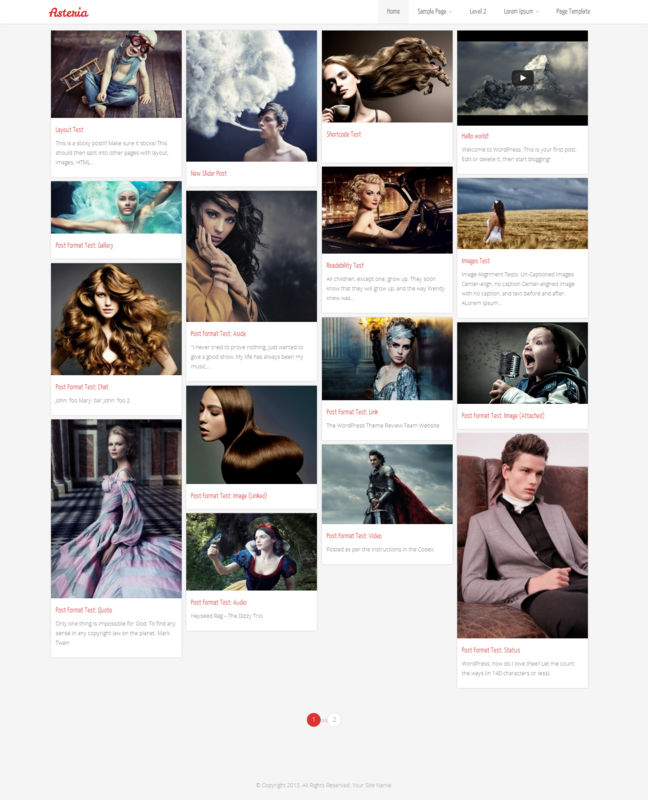 The theme also comes with 29 shortcodes and 15 widgets and Import/Export Options. 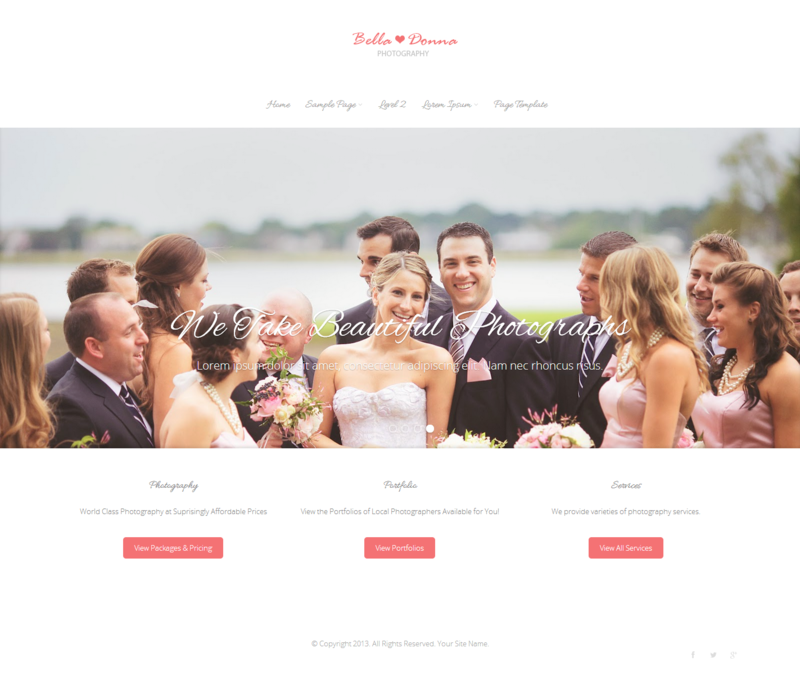 The Theme also has a Maintenance Mode feature, Custom CSS feature and is fully compatible with Woocommerce and Contact Form 7 Plugin. 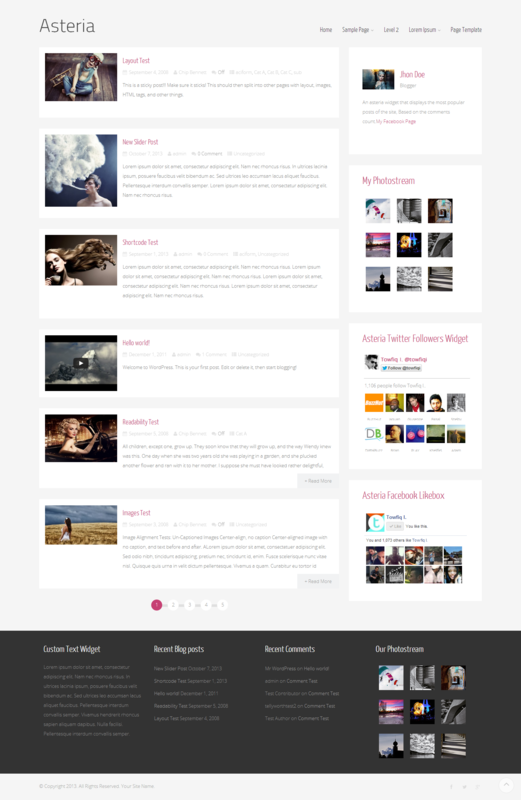 It also comes with Ajax pagination feature which means you can navigate posts without page refresh. 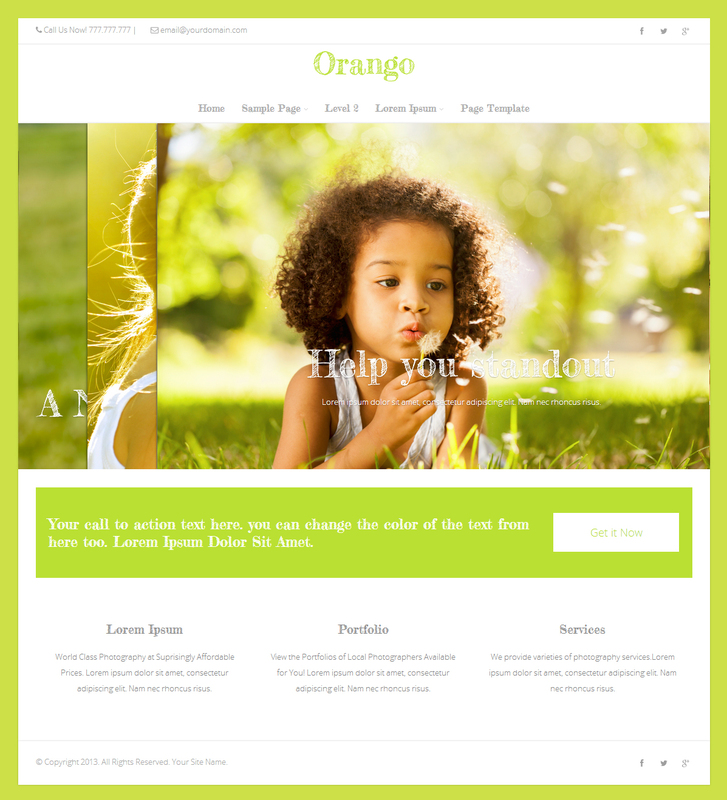 The theme is SEO Friendly and has plenty of user-friendly options. The theme is translation ready and fully translated into French, Italian, German, Spanish, and Chinese. 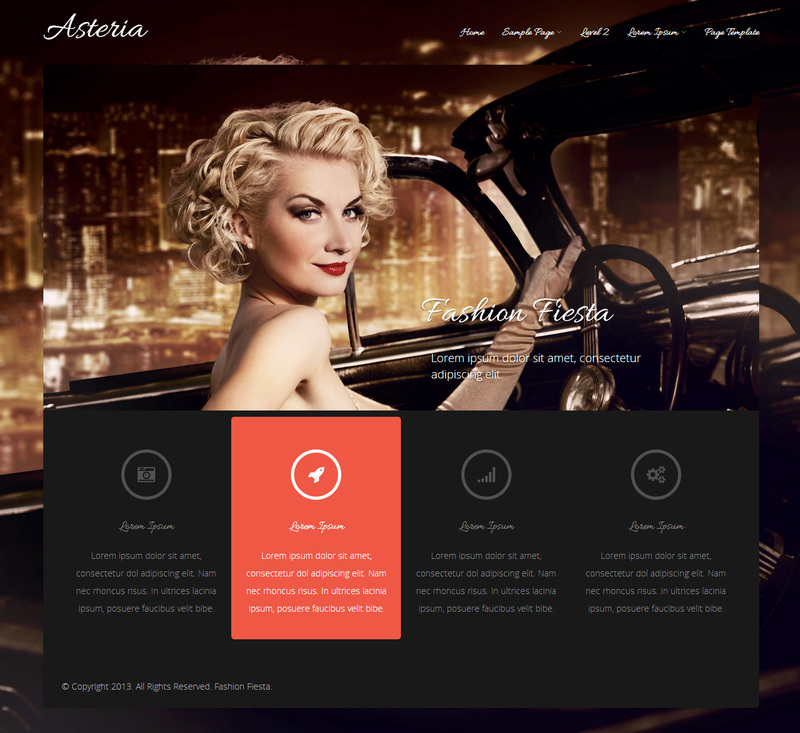 Asteria Lite is suitable for any types of website - corporate, portfolio, business, blog. 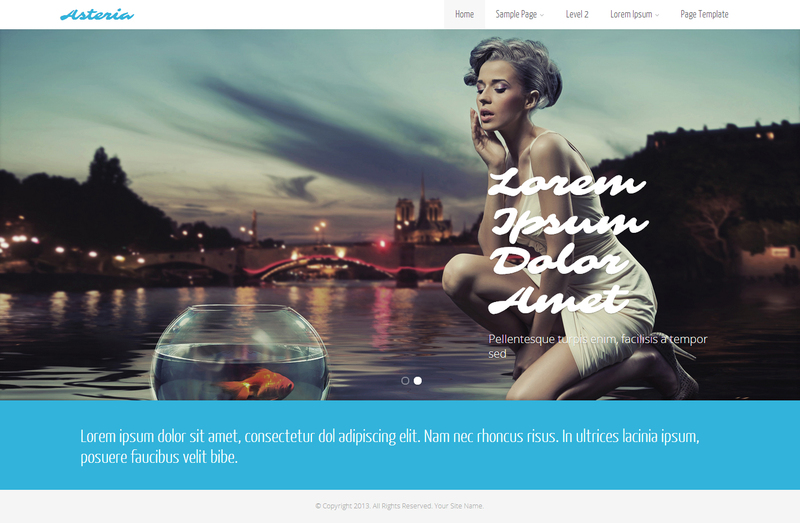 1 WordPress 3.0 Menu Position. Stumble upon, Digg, Delicious, Google plus & pinterest. 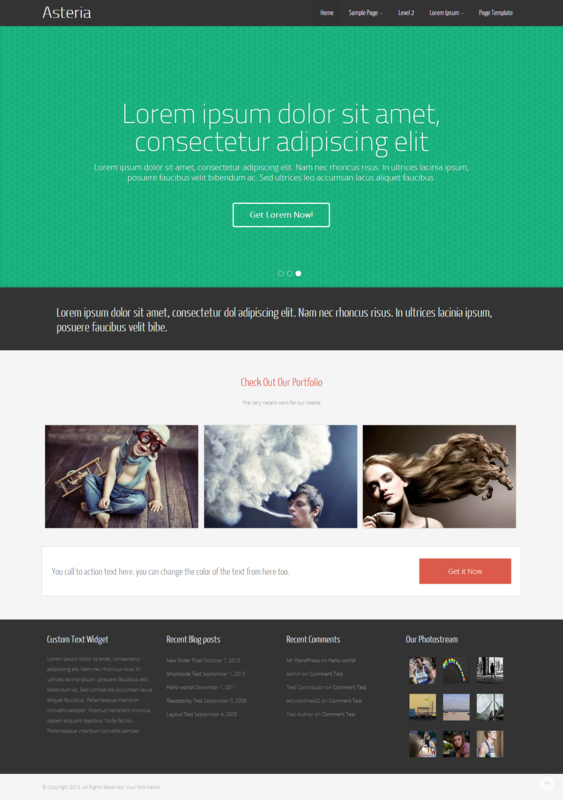 # fixed slider font size change from back-end. # fixed layout6 thumbnail icon link . # fixed Call to Action background color change when selected “Fixed layout” mode. Made the blocks linkable. Added New link field to each block. #Fixed- welcome text link color. #Fixed- the widgets link colors. #Fixed- disable next-previous posts and the sidebar goes under. #Fixed- iPAD Menu was not functional. #Fixed- the mobile menu close button. #Fixed- Empty search page bug. #Fixed- front widgets in mobile. Can you kindly try now? Ever since I bought your theme everything has been working fine except the slider buttons (they are off centered). Help would be much appreciated. Just checked your site the slider looks fine. Can you please let me know what you meant by “Off centered” ? Just checked your site. The slider images are loading fine..
Hi! Can someone help me please. How can I insert an image on the blocks of the front page? Really great theme. I used mu web site and saw very benefits. Thank you. I love you. Hi. Please help. After activating wocommerce plugin the site goes to 500 error. What should I do? 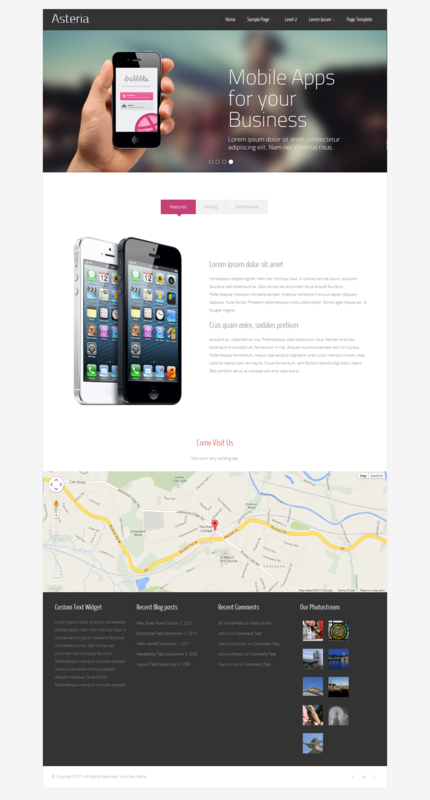 Hello, I have just built a website using your theme, which I purchased quite some time ago. If you look at the front page of https://horsesforheroesiowa.org something is wrong with the google maps portion of it. 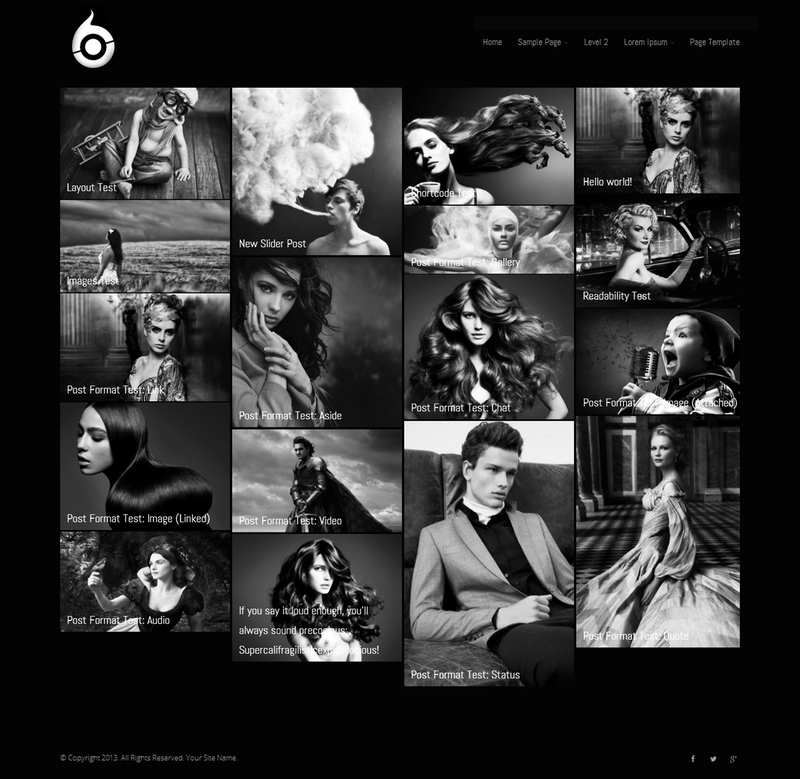 I would like to add an online store to your theme, is that possible? Yes. You can a dd a store with Woocommerce plugin. When I add the woocommerce plugin, can I keep the same layout I currently have? Yes you can. And the plugin shouldn’t change the layout of any of your pages. Thank you for your help yesterday! I need your help again please. I would like to know how to centre the logo and to put the menu bar on the top left/right. Please forget my previous comment. I want to have the logo in middle of the header and half of the menu on the right side of the logo and the other half on left side. therefore logo in between menu.